Paint, stamp, and stencil custom designs onto your tableware with Marabu Porcelain Paint. Finished creations are dishwasher-safe — no firing required! 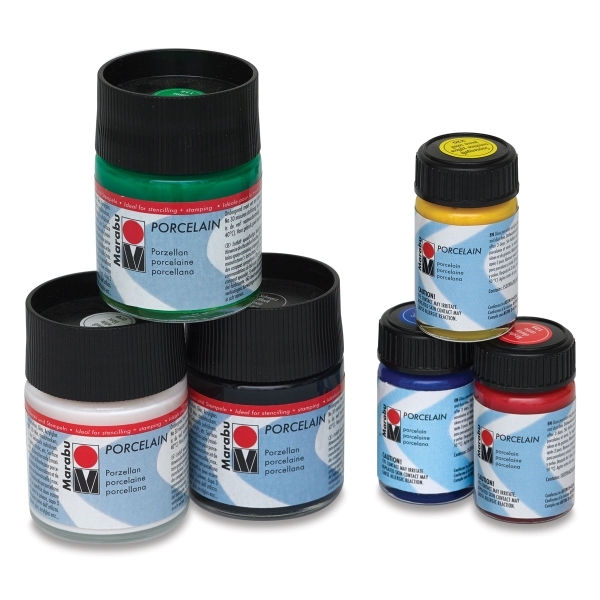 This highly pigmented, glossy paint is designed for glazed and unglazed ceramics, glass, and more. Porcelain is lightfast, waterbased, and odorless. ® Marabu is a registered trademark.® Plexiglas is a registered trademark.